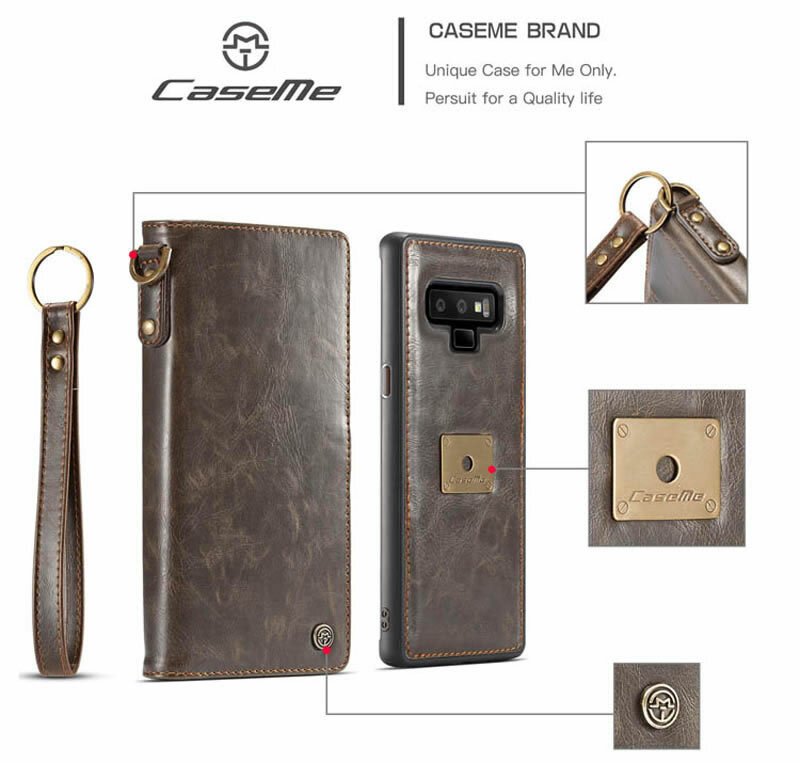 Free Shipping, Buy Genuine CaseMe Samsung Galaxy Note 9 Detachable 2 in 1 Retro Leather Wallet Case with Wrist Strap at the lowest price from Casemecase.com. 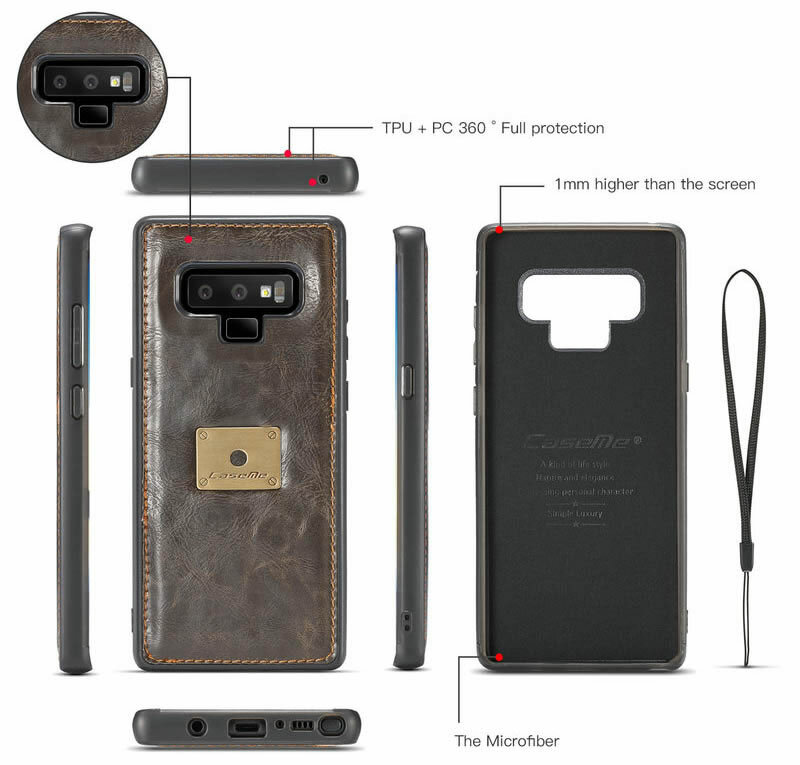 A Flexible inner Leather & TPU shell with the Precise Cutout for easy access to all functions button without removing the case. 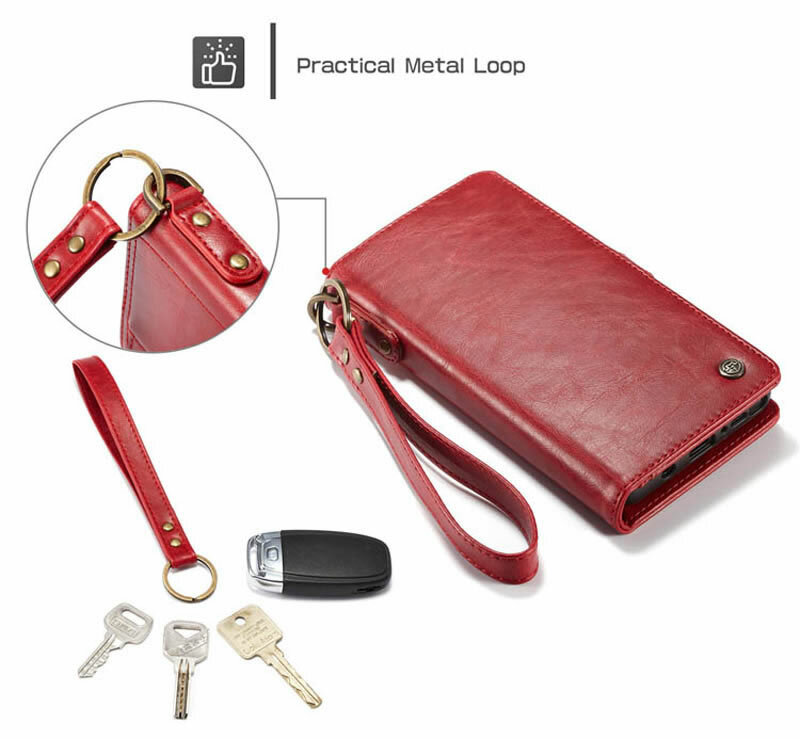 You can put car key or any other keys together by the loop with the moving buckle. 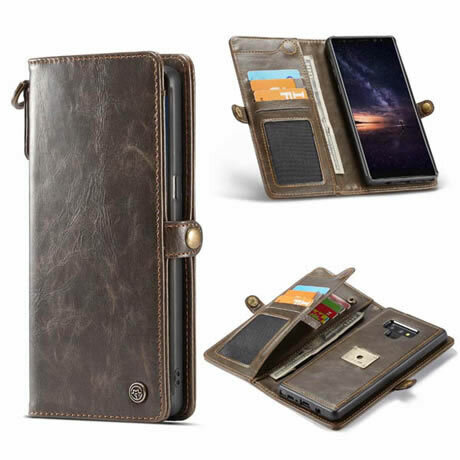 It is suitable for men, women, and teens of all ages, for hiking, hunting, globe-trotting executives travel etc, perfect replacement of your purse. I LOVE this phone case! Very good quality. 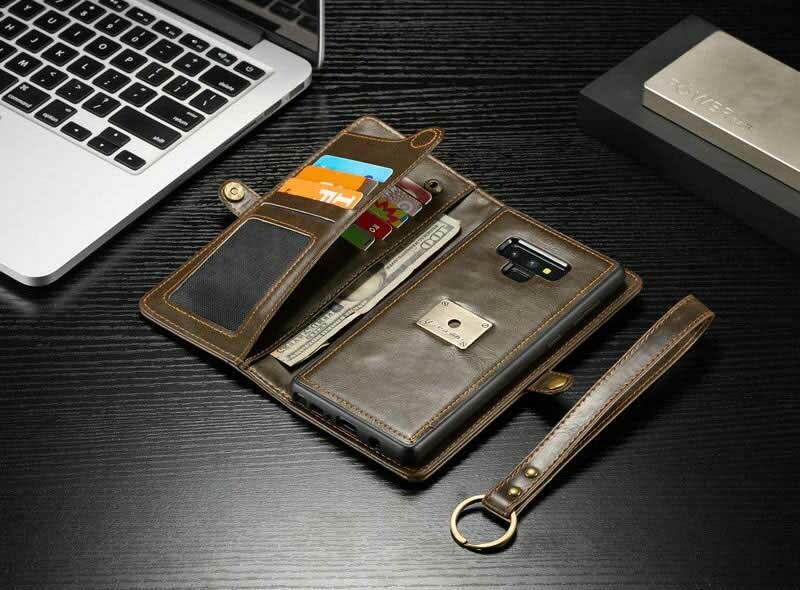 Separate magnetic phone case that fits into the wallet, so you can use with it without the wallet case. Once dropped my phone several times, phone and case are still in great shape! 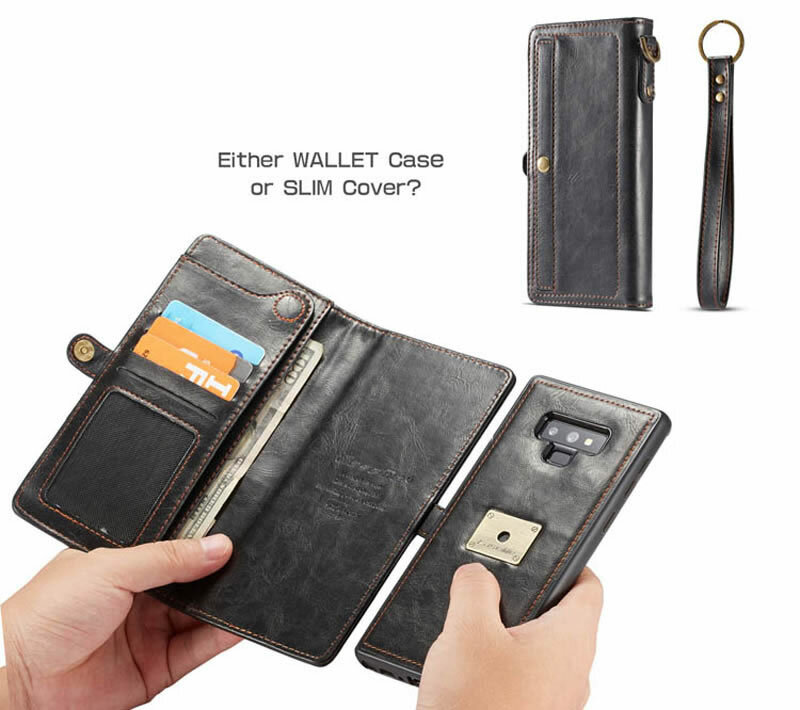 The wallet holds A LOT of cards, cash, etc, also has a wrist handle. One of the best phone cases I’ve ever had. Functions well and beautiful too! 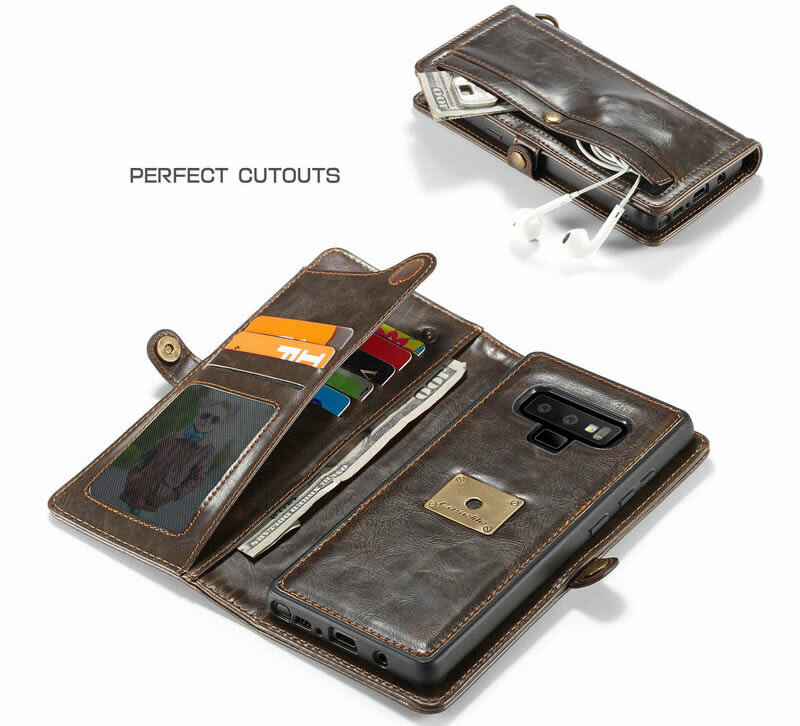 The case fits all my cards in it, and with the magnets that hold the phone in the case work amazingly for mounting the phone on a metal source for filming or watching videos.